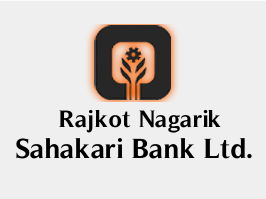 Rajkot Nagarik Sahakari Bank Ltd (RNSB) has published Advertisement for below mentioned Posts 2018. Other details like age limit, educational qualification, selection process, application fee and how to apply are given below. First Class Graduate OR Post Graduate (Except Arts). LLB/LLM preferable. For Sr. Executive: For Graduates, minimum 5 Years’ experience & for Postgraduate, 2 years supervisory experience with Nationalized Bank/ Scheduled Urban Co-operative Bank/Well known senior advocate office practising in the field of Bank loan recovery cases. Experience of cases under SARFAESI Act, Negotiable instrument Act, Arbitration Act and various other civil and criminal proceedings related to loan recovery activity is essential. For Jr.Executive: Willingness to work under SARFAESI Act, Negotiable instrument Act, Arbitration Act and various other civil and criminal proceedings related to loan recovery activity is essential. Experience of working in recovery Department Preferable. Remarks: The appointment will be made on a contractual basis with a consolidated fix salary depending upon qualification and experience.